The weather has started to cool, the leaves on the tree are changing to red and gold, the central heating has been turned on. There’s no denying, Winter is coming! But for some of us, long winters residing ourselves to evenings huddled under blankets and battling with inside out umbrellas in the rain is just not acceptable. We need to feel the sun on our skin and the sand between our toes. We need sunny winter holidays to look forward to! Of course, many will be seeing this as a reason to book a ski holiday, witness snowy scenery in Iceland or head for a festive destination in Europe to get in the Christmas spirit. But there will be many who yearn for some winter sun to top up their rapidly depleting Vitamin D levels! In many ways, winter is the best time to book a sun holiday. 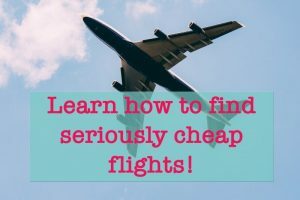 Often you will find the best flight deals, cheaper accommodation and beaches free of children (who are all back in school.) The milder temperatures allow for both sun-bathing AND exploring without drowning in a pool of sweat! But where are the best destinations for sunny winter holidays? 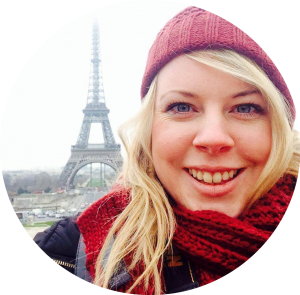 I decided to ask some travel writers to tell us about their favourite destinations for sunny winter holidays. 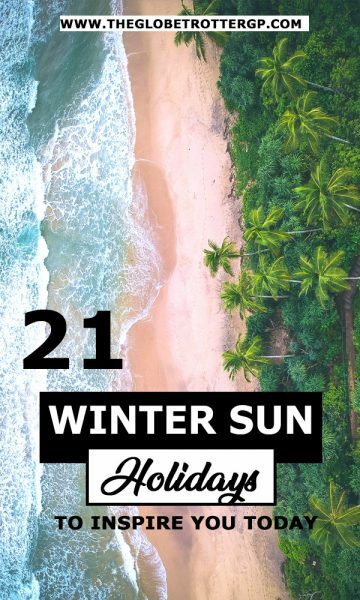 They have come up trumps with some great suggestions for winter sun holiday destinations where you will find beautiful beaches, secluded islands, plenty of culture and most importantly, winter sun! 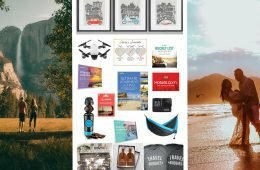 So read on to find out where these travel bloggers think we should be spending our winter holidays! 2 The Best Sunny Winter Holidays worldwide (beyond Europe) as voted for by travel bloggers. 2.12 Winter sun in The Philippines by Sam and Natalia. Most people flock to Europe for their Summer holidays and may only visit Europe in Winter for a festive christmas market weekend. 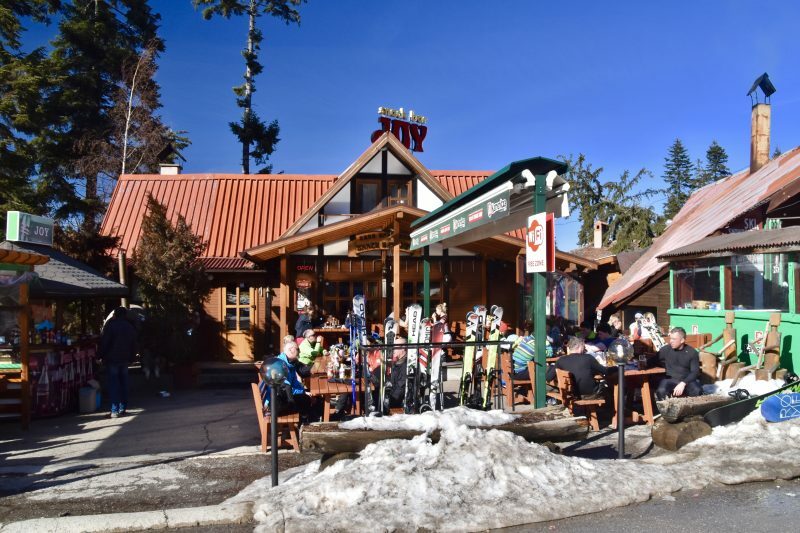 However, Europe is also a great destination for sunny winter holidays too, as long as you head to the south. 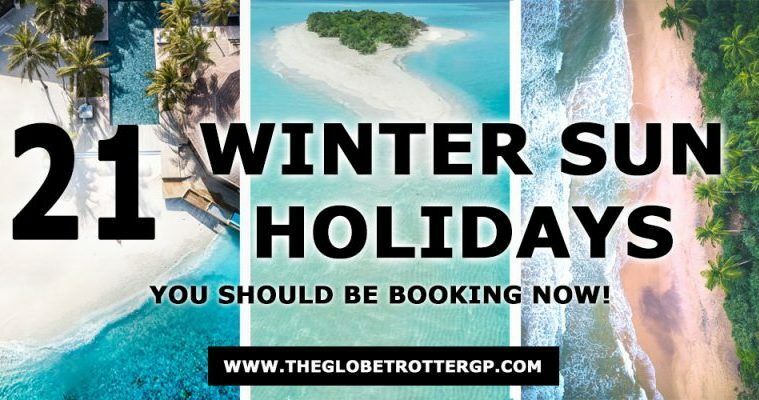 Places like Malta, Turkey and Portugal are lucky to have sunshine throughout the year and are great places to get some winter sun in Europe. When it comes to finding a perfect winter destination for your holiday, you would be forgiven for ruling out Europe. However, home to Europe’s most southerly capital city and basking in year-round sunshine, Malta is a perfect choice. Many cheap airlines fly to Luqa, Malta’s only airport, so getting there will be budget friendly for most too! With average temperatures in December around 18 degrees and the sea temperature not much lower, you can enjoy winter without wrapping up! Valletta is the country’s small capital, and great for a day trip to explore the interesting architecture and charming narrow streets. 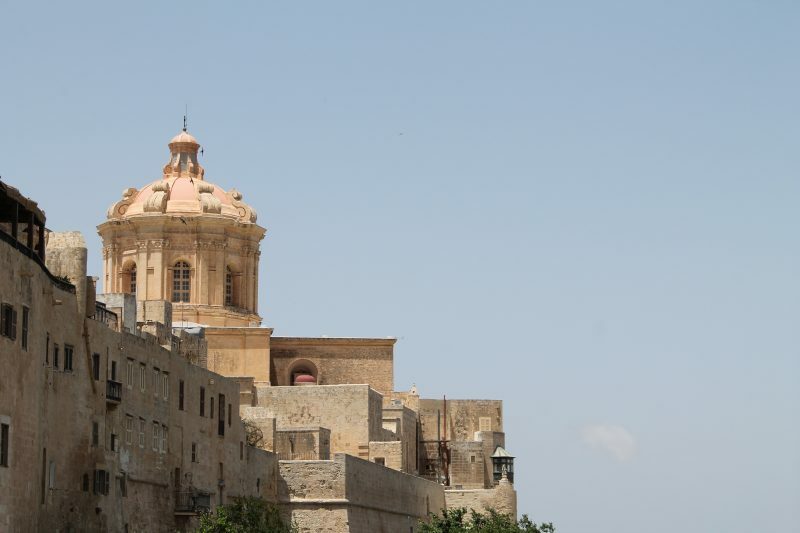 Another must-see is Mdina, the old capital and walled city atop a hill in the centre of the island. As soon as you enter the walls, you will feel like you have stepped back in time. Mdina was used to film scenes from Game of Thrones, thanks to its winding streets and interesting brickwork. In the centre, you will find a beautiful cathedral, and from the city walls, you can see across the island in all directions. 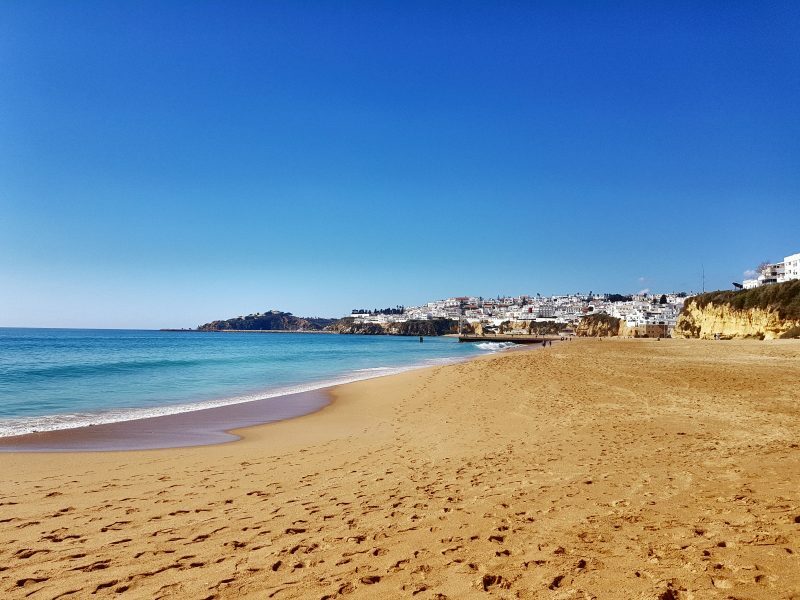 Portugal, and more specifically, the Algarve and island of Madeira, is the perfect location for a sunny winter holiday. Whilst average temperatures are between 15 and 20°C (59-68F), it is not unheard of to experience temperatures well into the 20’s C (70’s F). Yes, there are bouts of rain, but they are nothing like that which the UK experiences. Sunshine is often in abundance, and you will get to experience more of Portugal and its culture without the typical summer holidaymakers. 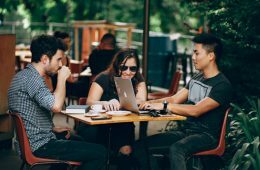 Resorts are quieter, and while you will find some bars and restaurants closed in the more popular resorts, those which remain open will often be frequented by the locals, meaning you are bound to get a great meal at a lower cost. If you plan to venture further afield, exploring Portugal is much pleasanter in the winter months as the cooler temperatures better suit exploring, hiking and sightseeing. Beaches are also quiet meaning a stroll along the shoreline is an all-together enjoyable experience. Make sure you try a pastel de nata (with a sprinkle of cinnamon like the locals do) with your coffee. You can thank me later. 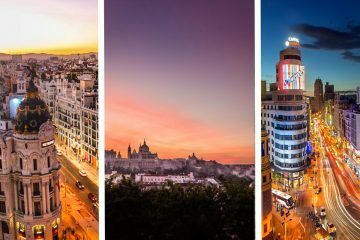 If you’re looking for Winter sun, why waste time and money on a long-haul flight to the other side of the world, when you can hop on a quick flight and stay in Europe. France, particularly the south of, isn’t commonly known as a Winter sun destination, in fact, it’s probably more commonly known for its Winter snow and ski resorts. However, visiting the right places at the right time could see you bathing in luscious sunshine, for sure. It’s not unusual in places like Montpellier, Marseille, Nice, and other Mediterranean coast cities to see daytime Winter temperatures reaching between 15 – 25 degrees. Sure, it may not be a 40 degrees Australia day, but if you’re looking for sunshine, warmth and beautiful scenery then the South of France has it all. And it’s not just the great Weather that attracts the Winter tourists. The Christmas markets and light shows in Montpellier are some of the most incredible in Europe and the Nice Carnival held in February is one of the largest in the world. 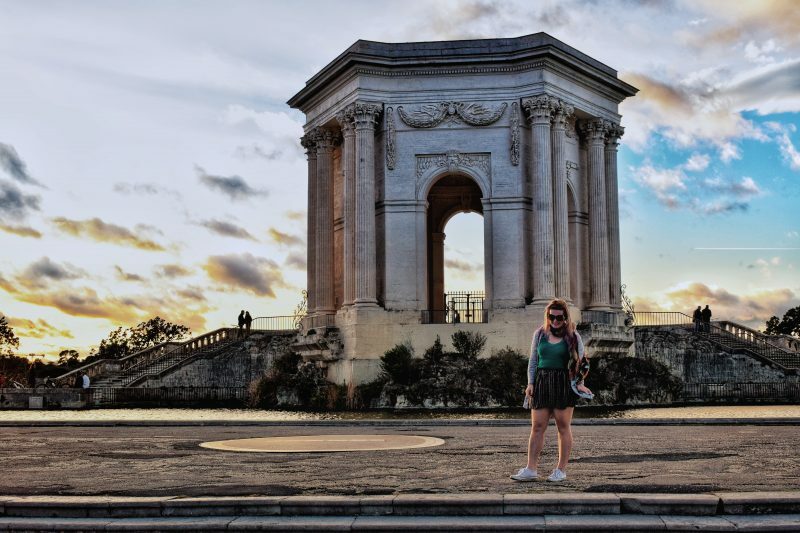 The South of France has so much to explore, great weather and perfect mild temperatures making it one of the best places to explore this Winter. When thinking of Turkey as a holiday destination, people think of steaming hot summers and crowded beaches. Indeed, Turkey is often overlooked as a destination for a winter sun holiday, and that’s a shame! Turkey’s Southern coast around Antalya enjoys on average 5 hours of sunshine a day in the coldest months of December and January. And remember, days are short in winter! You may get unlucky and have a rainy day, but rarely does it last long and as soon as the sun is back, you can head for the beach. Moreover, winter is the perfect time for a more active holiday in Turkey. Your options are hiking, skiing, biking, or even paragliding, just to name some. As a bonus, you’ll get to enjoy the beauty of the country without the crowds, and that is also the case for famous sites such as Ephesus and Pamukkale. In short, a winter sun holiday in Turkey offers so much more than a needed dose of sunrays. Add a dash of culture and some outdoor activities for a complete winter getaway to the sun! Spain is a popular holiday destination year round. But come winter, most holidaymakers flock to the Spanish islands such as Tenerife or the Canaries for the warmer temperatures. 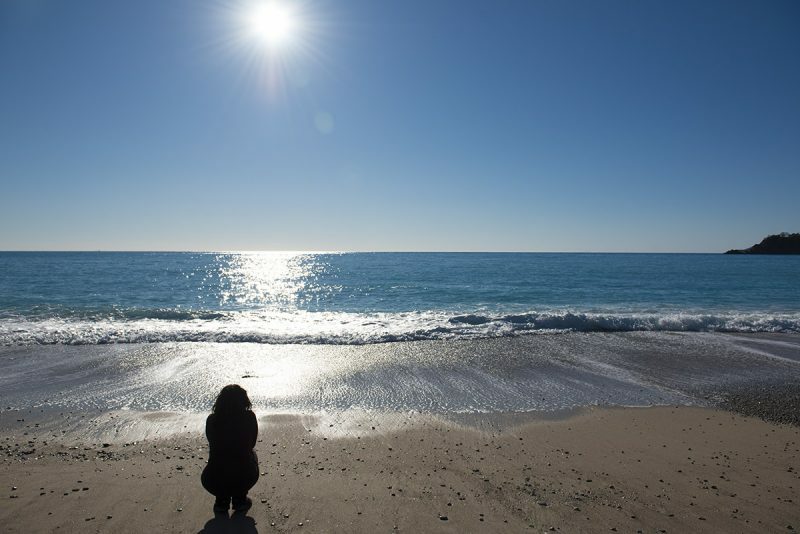 The mainland, however, has a lot to offer in the cooler months too, and one such destination that’s beautiful under a winter sun is the Costa Brava. 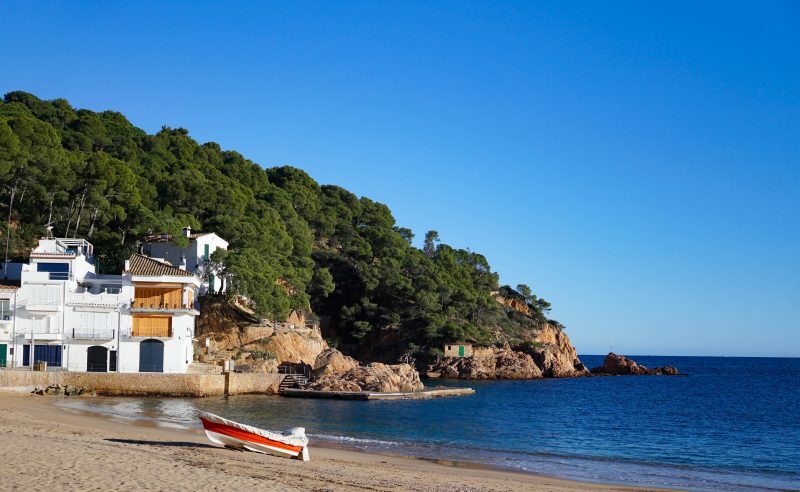 Long after most tourists have returned home from their summer sojourns, the Costa Brava really comes into its own. Long stretches of coastline are yours alone to enjoy. Villages resume their quiet hum of everyday life. The cool bright days make coastal walks or inland hikes a breeze. 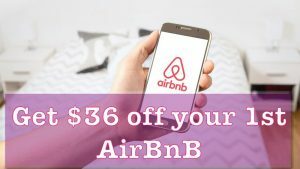 And while some resorts will close their doors, it’s a great time to get bargain accommodation at a locally owned hotel or Airbnb. The larger towns of Girona and Figueres are business as usual over the winter months, and it’s here that you can sample the unique architecture and history of this corner of Catalonia. And if you’re lucky enough to visit at Christmas time, be sure to sample the Christmas markets and lively atmosphere on offer in these festive towns. The Best Sunny Winter Holidays worldwide (beyond Europe) as voted for by travel bloggers. Dubai is one of my favourite places in the world to get some Winter sun! The weather is guaranteed and offers a wealth of outdoor activities that mean you can make the most of the sunshine! From lazying around one of the cities many luxury hotel pools or taking a dip in the ocean – it is the perfect place for sun lovers. For those looking for something a little different then why not check our one of the city’s many desert resorts? Just a short drive from the city centre you can get a feel for authentic Arabian life. Otherwise just take in the wonders of the city from the world’s tallest building to a traditional souq! If you’re looking to get away from the cold this winter, Belize is a great place for sun seekers. For one, North America’s winter is actually Belize’s most ‘summery’ season. December marks the beginning of dry season in Belize, when the risk of hurricanes evaporates and you can enjoy the sunny weather and warm water. For another, it’s a short distance from many U.S. cities, with direct flights to Belize City from many American hubs so that you can be in the sun as quickly as possible. A getaway to Belize can easily combine relaxing on the beach and adventure, making it the best of both worlds. 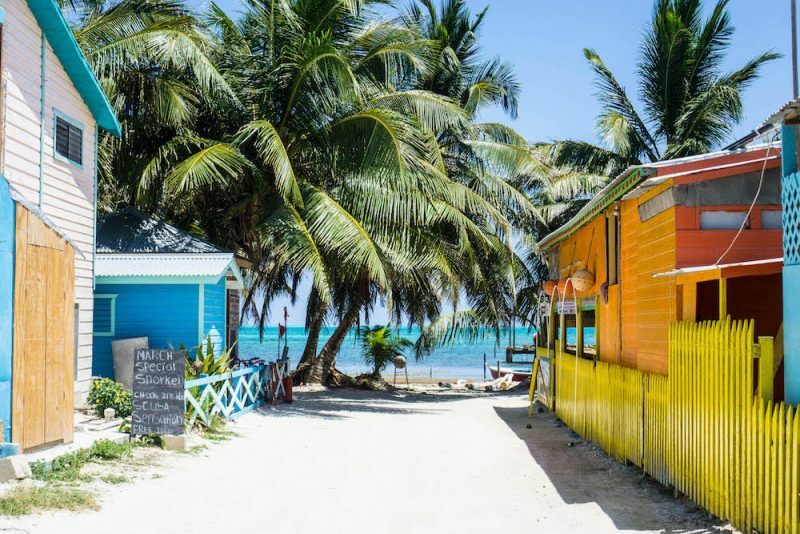 The islands of San Pedro and Caye Caulker are great places to rest and relax, swimming in the Caribbean Sea and enjoying drinks while looking over the sea. 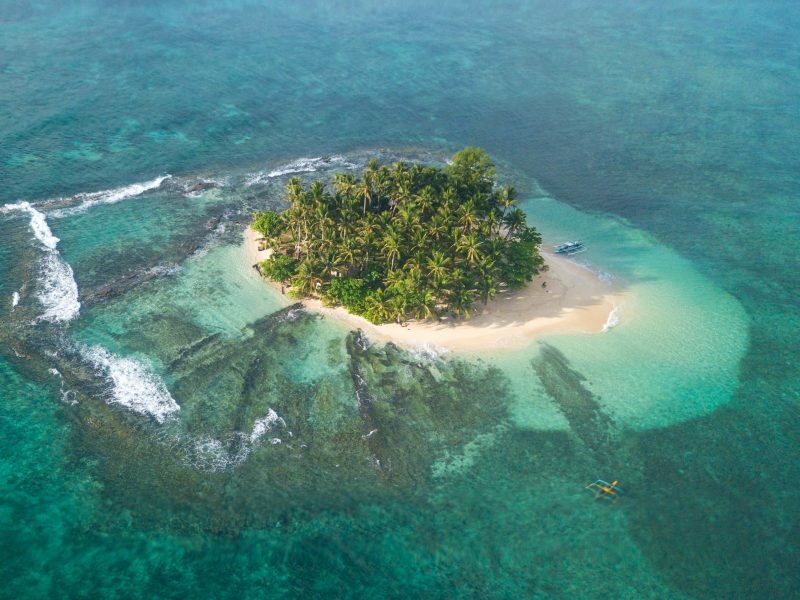 Meanwhile, the nearby Belize Barrier Reef is excellent for snorkelling and diving, as it is the second biggest reef system in the world after the Great Barrier Reef. If you’re looking for more adventure on your sun holiday, you can escape to the jungle of Cayo District. The biggest city in the region, San Ignacio, is a great base for activities such as tubing down rivers, exploring cave systems, zip lining through the jungle, and more. 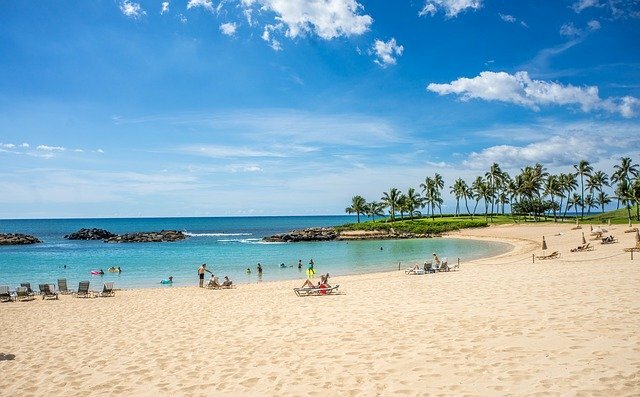 The Hawaiian Islands make a great winter sun holiday destination for all of the obvious reasons! For American’s, it is passport-free paradise accessible with non-stop flights from the West and East Coast. For vacationers looking for an English-speaking holiday destination, it is very modern and western-oriented since it is part of the United States. It has beautiful white, sandy beaches, plenty of activities for people of all ages. If hiking, horseback riding, surfing, SUPing or snorkelling is on your to-do list to escape winter, the Hawaiian Islands have it all! If you want shopping, Waikiki and the surrounding Honolulu shopping malls have world-class shopping for every budget. The Hawaiian Islands are laid back and the slower pace of life is apparent as soon as you touch down at the airport. While there are lots of tourists at all times of the year, it is never impossible to find a beautiful secluded beach. With its long coastlines dotted with beaches, dramatic mountainous interior and fascinating culture, Mexico is one of the world’s top destinations for a winter sun holiday. Options for outdoor adventure include diving the coral reefs of Cozumel, taking a Huatulco snorkeling tour of seven bays on Oaxaca’s southern coast and jumping into the clear waters of an underground cenote (sinkhole) on the Yucatan Peninsula. Although best known for its fabulous beaches, Mexico offers plenty of appeal beyond the beaches. Head inland to cities such as Mexico City, Merida and San Miguel de Allende and you’ll discover destinations brimming with colonial architecture, priceless churches, fascinating archeological sites and rich culture. Culinary adventurers will be especially drawn to Puebla, Oaxaca City and Puerto Vallarta where it’s possible to experience Mexico’s treasure trove of distinctive food and drink such as tequila, moles ( spicy salsas), street tacos and traditional dishes. Mexico’s interior is also home to unique festivals and events such as Dia de Los Muertos ( Day of the Dead), a not-to-be-missed experience that takes place in early November. Mexico also offers a wide range of sun holidays for every budget. 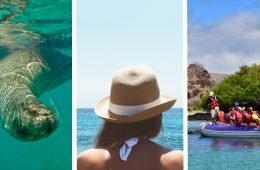 From the five-star luxury resorts of Cancun, Los Cabos, Riviera Maya and Riviera Nayarit that draw celebrities to their posh hotel hideaways featuring infinity pools, butler services and Michelin-starred chefs, to budget beach bungalows in Puerto Escondido, there are plenty of accommodation options in Mexico. The country of Mexico is also an especially popular destination for snowbirds — travellers who flee colder climates for long-term stays from November to April– returning home when the weather is warmer. Chances are if you visit Mexico once, you’ll soon be returning to explore even more! There are tons of incredible destinations to escape the cold of those winter months. And one of them is the amazing Sri Lanka, the pearl of the Indian Ocean. A great island hiding so many activities that will guarantee tons of fun during your winter holiday there. I especially recommend it because it is a mix of so many various things to do and experiences. For example, if you love animals, Sri Lanka is the perfect place for waking up face to face with an elephant. You can try a safari where, if you’re lucky, you can even spot a leopard. There are whales which you can observe from certain boat tours (but make sure to choose a responsible company when you go whale watching). You can also discover the secrets of Buddhism, in the hundreds of temples spread across the islands. 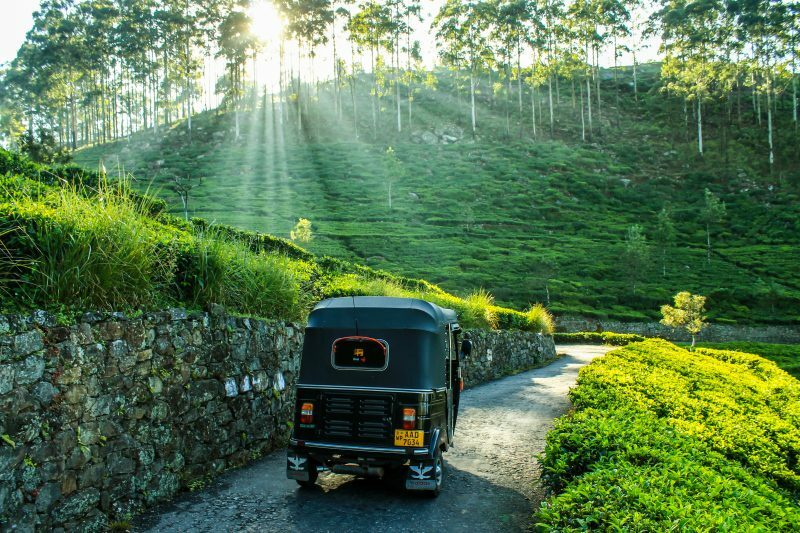 From the beach, you can go inland and hike in the lush forests and discover the multitude of tea plantations. And it is among a few countries where you can rent and drive a tuk-tuk without getting killed in traffic. Oh, almost forgot! The food is so good that it makes you forget about that cold snow at home. Just enjoy your curries and some fresh mango juices before going home. 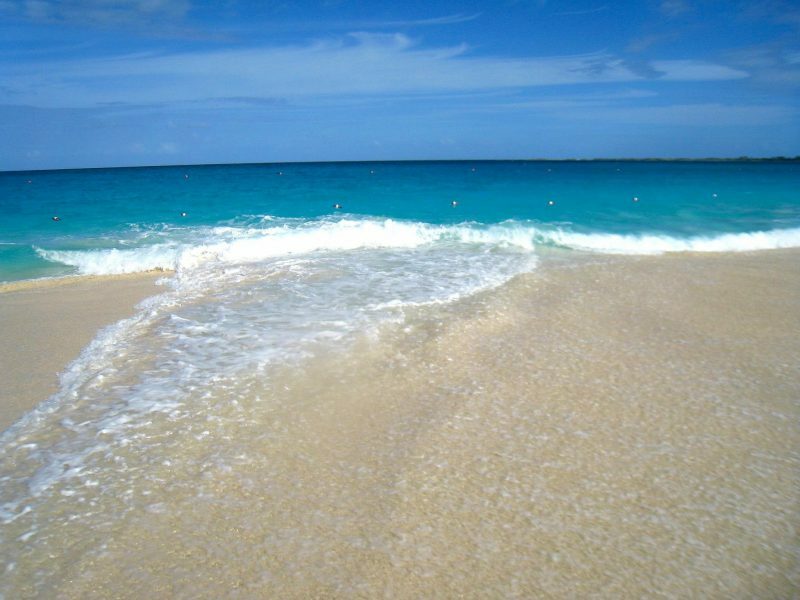 The Bahamas are the perfect place to find some winter sun. As they like to say, “ It’s better in the Bahamas!” With 700 islands and over 100,000 acres of ocean, there is something for everyone. The beaches are pristine, the food is delicious, and the people are friendly. In the Bahamas, you have the options to relax on the beautiful beaches or have a more active vacation if you choose. Nassau is the most popular island to visit and the spot where most cruise ships dock. In the town, you will find good shopping, food, and fun bars. Many tourists travel across the bridge to Paradise Island to visit the Atlantis resort. If you are looking for something a little more exotic, how about the Exumas? The Exumas are located just 35 miles southeast of Nassau. There are two national parks and you will find a beach where you can even swim with the pigs. Cuba is a great winter sun holiday. You can visit an all-inclusive beach resort hotel in Varadero where your every whim is catered to. Or you can head to Havana, or Santiago de Cuba, and experience more of the real country. 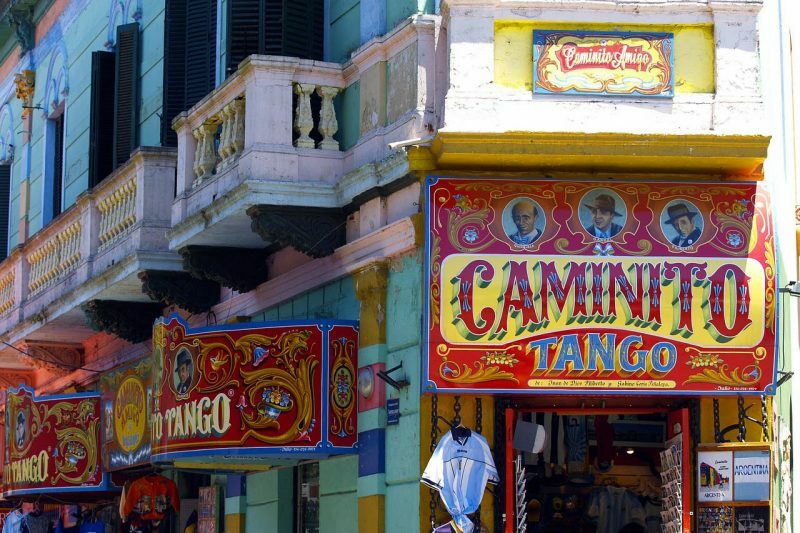 Prepare though, before you go to Cuba, because it’s unlike anywhere you’ve been before. Get out into the country and be driven in a classic American car that’s probably older than you. Queue for a bus ticket with everyone else and get frustrated when there are none left. Head to a café with a huge menu and discover that actually there are only cheese sandwiches left, but get caught up as the staff just have an impromptu salsa class in the middle of the café. Eat black market lobster for US$15. Drink where Hemingway did, ask yourself where didn’t he drink? 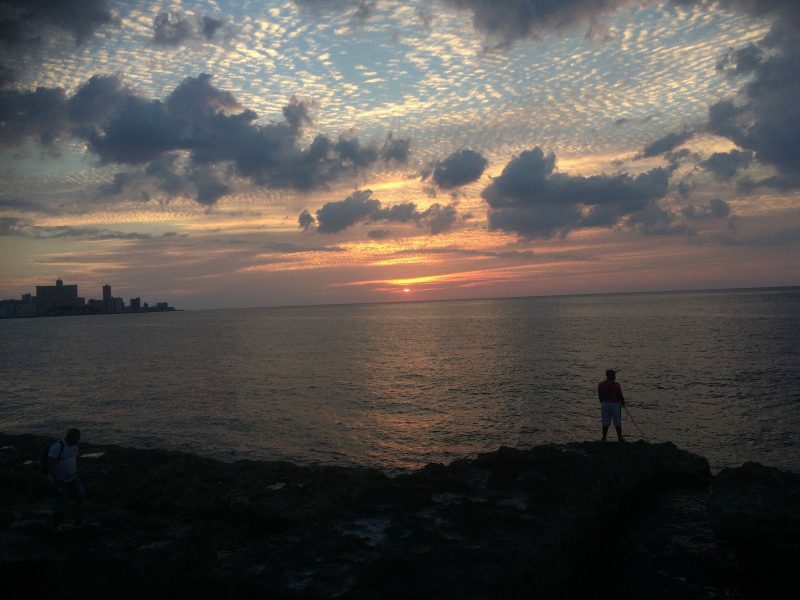 Try a Cuban cigar and toast the sunset at the Hotel Nacional or walk the Malecon and people watch to your heart’s content. These are the reasons you should go to Cuba. The sun is lovely, the food supply is intermittent but the rum is plentiful and the people if not cheerful, then extremely resourceful. It’s changing quickly, so get yourself there and experience it now. In Puerto Rico during the winter, you are going to enjoy nice, mild winters. You get to avoid a lot of the rain and humidity that happens during the winter season of November to April. You will experience the 70 degrees Fahrenheit during the night on the coast – such comfortable sleeping! You can also enjoy a wide range of lodging options from budget to high-end. There are campsites available all the way up to the luxury Intercontinental San Juan, where Pina Coladas and other great fruity drinks are mixed and served freely by the water. If you celebrate Christmas, you will love the celebration that starts right after Thanksgiving and goes until three weeks after New Year’s Day! Get ready for lots of singing and good food in Puerto Rico to celebrate this special time. You can also take advantage of the good weather and go on a rainforest hike as the sun is not so intense. 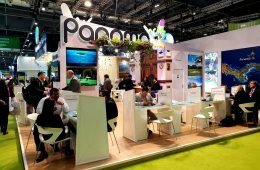 For those who want to escape winter and spend some time enjoying warm weather and sunshine – Cape Town in South Africa is a great place to come. Here you can combine a beach holiday with city sightseeing, visiting safari parks with tasting great wines and outdoor activities like hiking, surfing, kite surfing etc. There are plenty of things to do and places to visit for all kind of travellers be it a family, a group of friends or a honeymoon couple. Not to miss places in Cape Town; Table Mountain, V&A Waterfront, Bo Kaap neighbourhood, Cape Point, sunset from Lion’s Head, Kirstenbosch Botanical garden. There are plenty of other places to visit in and around the city. For surfing and kite surfing enthusiasts, the best place to stay is around Cape Town is Muizenberg, one of the best surf spots in the area. For families with children, Boulders beach is something not to miss when visiting Cape Town. Here you can see cute African penguins walking and swimming at the white sand beach surrounded by huge boulders. Another great activity for families with children is visiting one of the nearby safari parks where kids can see elephants, lions, cheetahs, giraffes and many other African animals in their natural habitat. 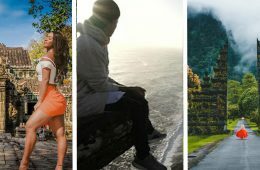 For a romantic holiday go to Franschhoek , a small town close to Cape Town that boasts some of the finest wine estates and restaurants in the country. Needless to say, the scenery around Franschhoek is breathtaking, a small valley surrounded by mountains, grape plantations and flower gardens. 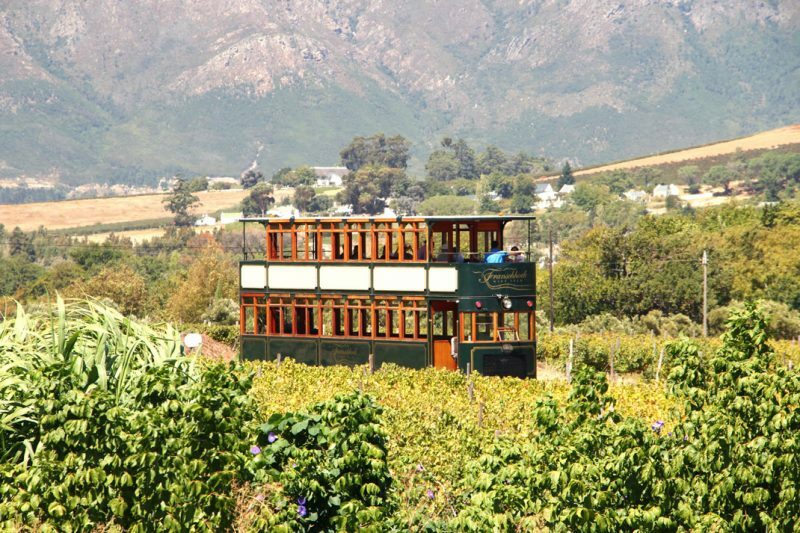 You can even catch a wine tram that goes from the town to the nearby wine farms and back. Forget Winter chills with the 30 degrees heat of Colombia’s Caribbean Coast. Starting at Santa Marta holidays like the locals do at this cute seaside town. Don’t settle though, use Santa Marta as a base for the mountains and national park. 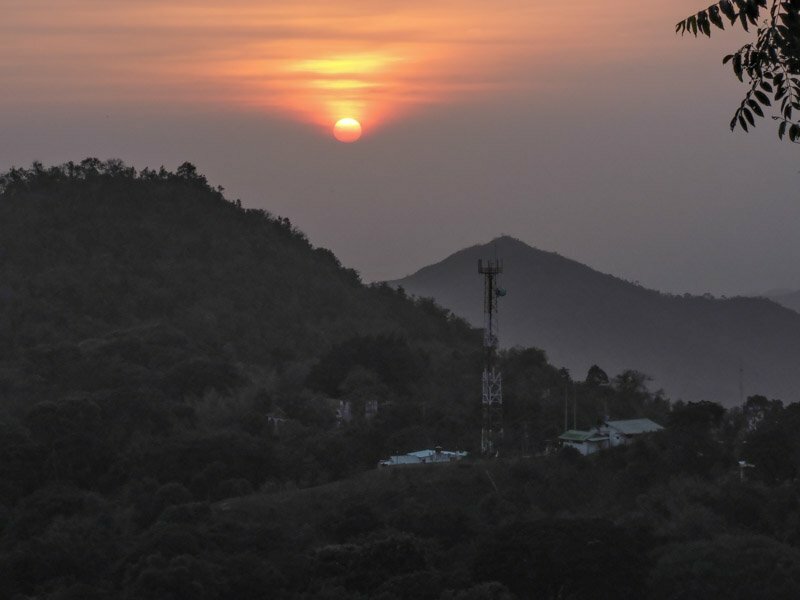 Minca is a small town nestled in the Sierra Nevada de Santa Marta mountains which boast of killer sunsets and easy to hike to waterfalls. 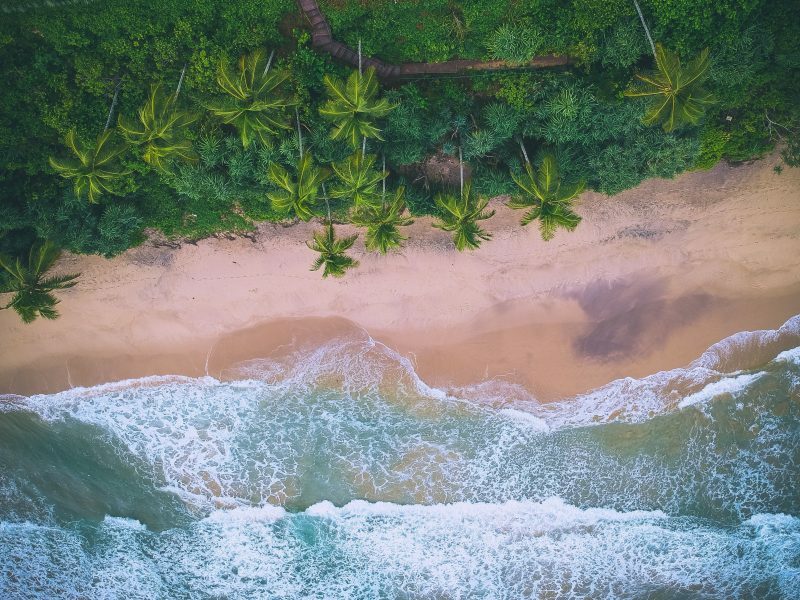 Next, head to Tayrona National Park to see the monkeys in the trees and feel the breeze of the sea air at Cabo San Juan beach. Although an underrated Winter getaway, Colombia should not be overlooked. The locals are very proud, passionate and eager to see you visit their country after the conflict that tore them apart in previous decades. Expect Colombians to start conversations on buses, shake your hand in the street and shower you with questions. It really is a wonderful country all year round, not just for Christmas! Jamaica is a fabulous winter sun destination because the weather is great, the people are friendly and the food is fantastic. 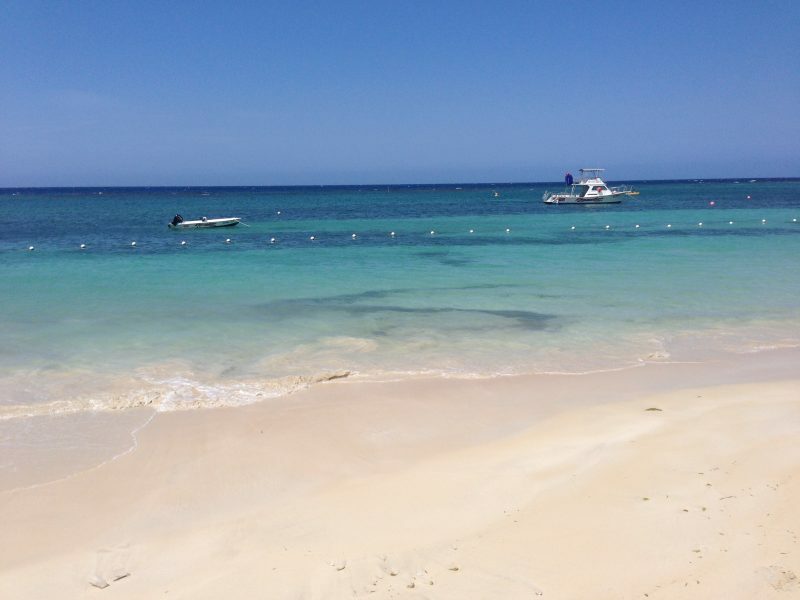 You have a choice of resorts such as Montego Bay, Ocho Rios or Negril. In addition, you can choose between all-inclusive or self-catering accommodation. 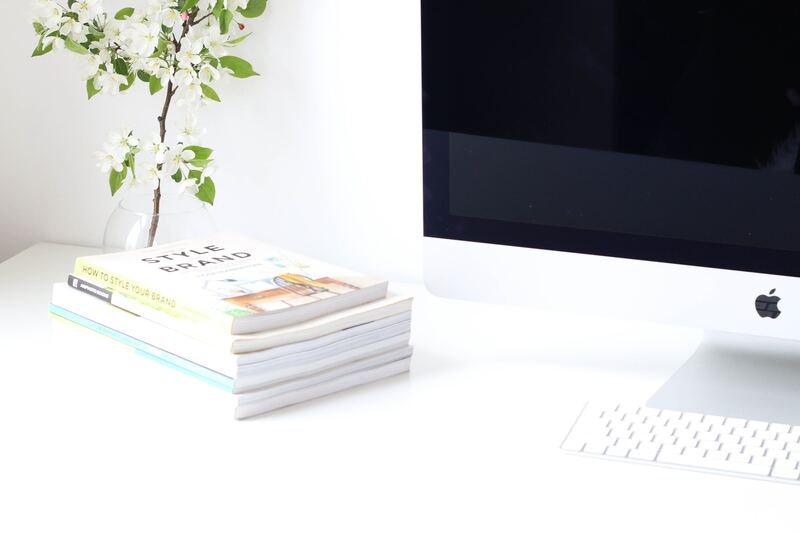 As a popular tourist destination, the accommodation covers a range of budget options suitable for solo travellers, loved-up couples and family travellers. There are also well-organised tours that you can take if you are feeling active such as river rafting, river rafting and a 4×4 overland safari of the Jamaican jungle. Our children were fairly young and loved our resort so much that they refused to leave. My husband and I took a tour of a beautifully-restored Jamaican colonial house from the days that the country had a lot of sugar plantations. It was fascinating to go inland to the beautiful mountains and see the varied geography of this relatively small island. 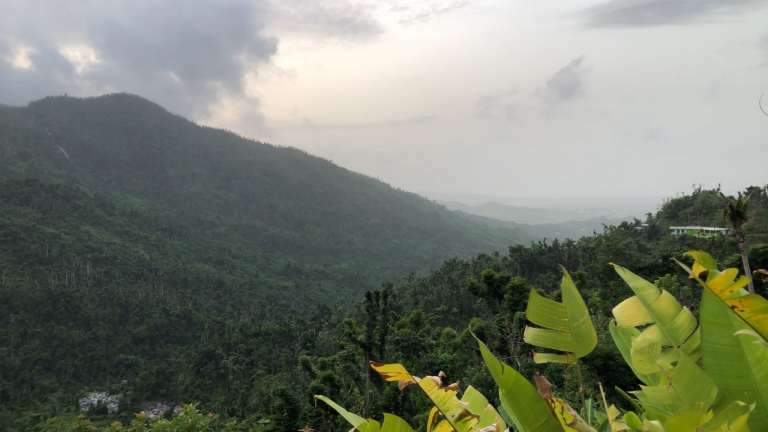 There’s something for every interest in Jamaica from pub crawls, music jam sessions, history tours, eco-tours and outdoor adventure activities. My husband and I are foodies. We loved Jamaican food, even the dishes that set our mouths on fire. Before I had a salad with Scotch Bonnet Pepper dressing, I had no idea that even salad leaves could be made spicy! Luckily there were also easy options for our less adventurous children! Winter sun in The Philippines by Sam and Natalia. The Philippines is a great destination for those looking for some winter sun! Average high temperatures during the winter months sit at around 30 degrees Celsius, meaning there’s plenty of sun to enjoy! Even the average low temperatures of around 20 degrees Celsius are substantially warmer than a cold winter back home! Thankfully there are some incredible islands and beaches to visit in the Philippines, perfect for making the most of the good weather! If you want to spend your trip relaxing on the beach and soaking up the sun then there are plenty of places to do so in the Philippines – from Port Barton to Siargao to Boracay. 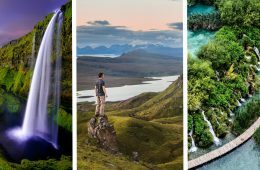 Alternatively, there are some great spots to visit if you want to see some of the country’s brilliant nature. Cebu Island in particular is an incredible place. Here you’ll find numerous stunning waterfalls, which are great for swimming in and cooling off from the heat! There are so many potential inclusions on a Philippines itinerary – from wreck diving in Coron to island hopping in El Nido – that make it the perfect destination for getting some winter sun! New Caledonia is the perfect place for a winter sun escape! Located in the gorgeous Coral Sea in the Pacific, this stunning island nation enjoys warm temperatures all year round. 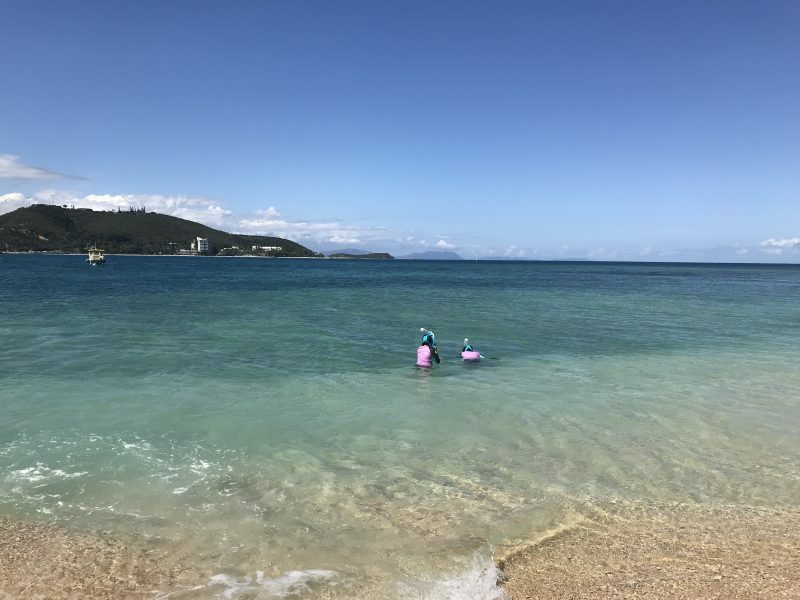 No matter what time of year you visit, you’ll enjoy sunny skies and perfect swimming and reef snorkelling weather – and of course some very relaxing lounge-time on stunning white sandy beaches! New Caledonia is famous for its amazing islands, crystal blue water and friendly locals. The capital of Noumea offers a beautiful city beach of its own, city shops and friendly island hospitality. Duck Island, a popular snorkelling and swimming island is just a ten-minute speed-boat ride away. Other famous islands in the New Caledonia chain include Lifou, Isle of Pines and Mare – all feature incredible natural beauty. A favourite stop-off for P&O Cruises, New Caledonia is wise choice for a winter sun break escape! 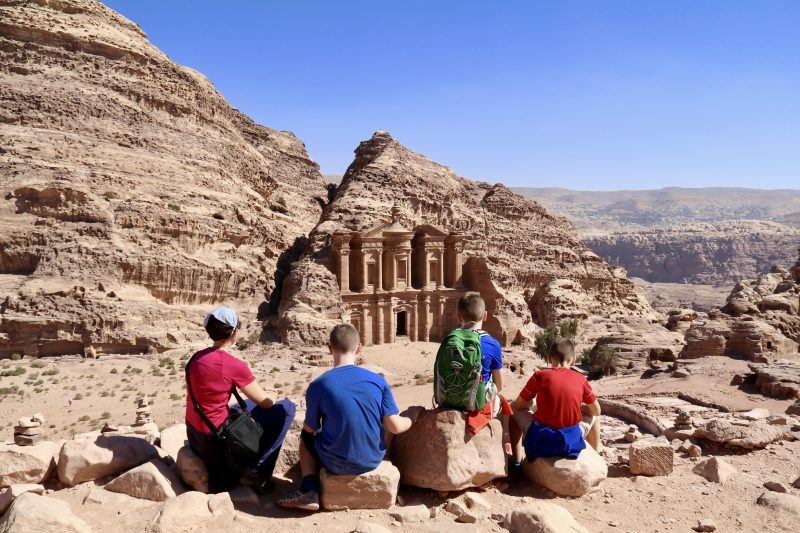 Jordan offers an astounding variety of adventure within a relatively small country. With little rain and mild winters, it is perfect for some winter sun. Ride a camel through the desert in Wadi Rum and sleep overnight at a Bedouin camp. At night, watch a star show like you’ve never seen before. Next morning hike through the desert imagining you’re Lawrence of Arabia. Float in the salty water of the Dead Sea and cover yourself in therapeutic mud! See the historical lost city of Petra, marvelling at the ancient buildings built into the sandstone cliffs. For outstanding views hike to the Monastery, up to the High Place of Sacrifice and to see the Treasury from above. The waters of the Red Sea, off the coast of Aqaba, are bath-warm all year around. Try snorkelling or scuba diving for some of the best underwater sights anywhere in the world. If that’s not enough, head to the ancient Roman city at Jerash. Jordan is a fascinating country with so much to see and do. If you’re looking for fun and adventure Jordan is the perfect place for a winter getaway. A lot of people say they don’t like Egypt, but it always turns out they’ve been to very touristy places like Hurghada or Sharm el-Sheikh. We were very lucky that our first introduction with Egypt was when we visited a friend in Dahab, South Sinai. That was 13 years ago and we’ve been there many times since then. Dahab is a small coastal town with a very relaxed atmosphere. 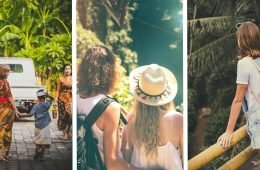 It was a popular hippy backpacker destination in the ’70’s and although a lot has changed since then, the ‘happy vibes’ are still there. We always skip the summer months (over 45C is really too warm for us) but spring, fall and especially winter are great. A perfect way to escape the cold in Europe! In the winter months (December, January, February) the evenings in Dahab can be a bit chilly, but it’s a comfortable 20-24C during the day. 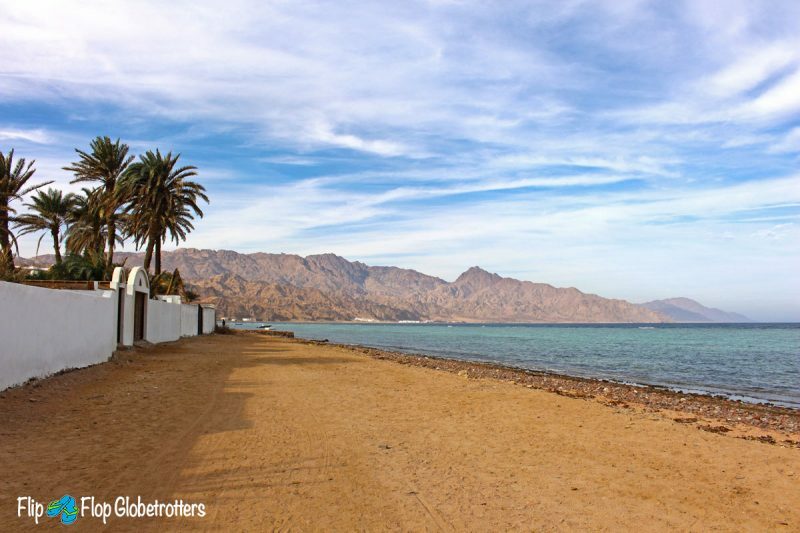 The sea is a bit too cold for swimming (although if you’re really determined you could), fortunately, there are plenty of other reasons to visit Dahab, Egypt. 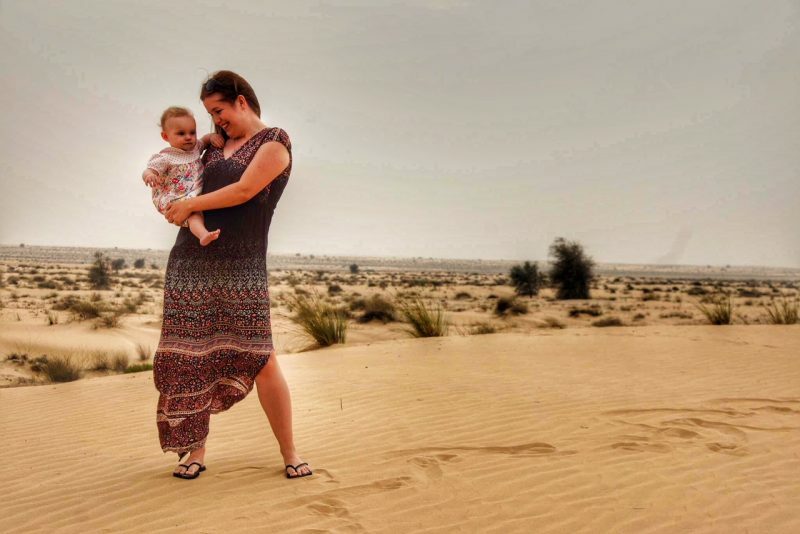 Like because of all the activities you can do there, such as freediving, scuba diving, hiking, yoga, kite and windsurfing, mountain climbing and camel safaris in the desert. For those in the northern hemisphere, Argentina is a stunning winter sun holiday destination! Argentina is a large country with so much to do, see, and eat. If you love big cities, visit Buenos Aires. If you prefer hiking, head to the Bariloche mountain region. If you’re a wine lover, check out Mendoza, Argentina’s popular wine region. Maybe waterfalls are more your thing? Head north to Iguazu Falls (and visit Brazil while you’re at it). Or head south to Ushuaia and travel to “the end of the world” (or hop on a ship to Antarctica). If you’re into beaches, Argentina has got those, too, along with whale watching (in Puerto Madryn). No matter where you go in Argentina you’ll find delicious food and warm, hospitable people. To maximize your time in Argentina you can fly from place to place or take their more leisurely yet very comfortable (not to mention affordable) long-distance buses. Overall, Argentina is one of my favourite travel destinations and I highly recommend it, especially if you want to escape winter! 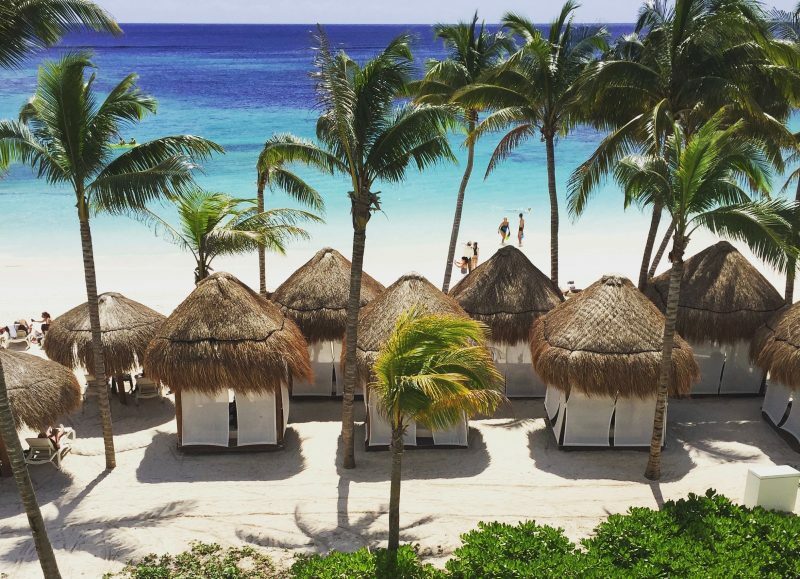 So hopefully we have given you some inspiration for some great sunny winter holidays! Where has your favourite winter sun holiday been? I’d love to hear your suggestions in the comment boxed below! 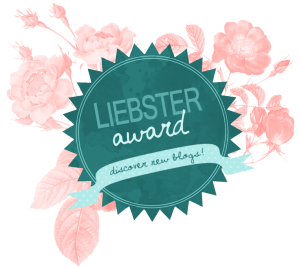 And as always, I really appreciate any social shares using the buttons and pins below! Thanks, you are a star! Previous ArticleHostels in Iceland – the Best Budget Ring Road Accommodation. The insight you have shared are very valuable. The scenery in every destination that you have shared are equally unique and beautiful. It’s kinda enchanting to visit these places. Nice article indeed.